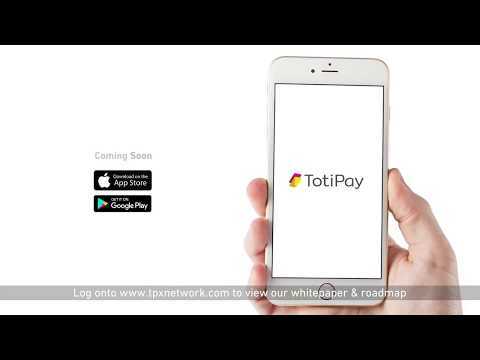 New FinTech start up Totipay invites global crypto currency investors to register for the TPX Network.com token pre-sale on March 26, 2018. Totipay is a new blockchain based online money transfer service. Totipay aims at taking a share of the USD 600 billion global remittance market, starting with the UK market & expanding globally over the next 2 years. TPX Network.com is the Totipay Network & will enable users in the UK to transfer money across the world with the ease of a text message. Totipay will be available on an app, bringing the convenience of money transfer to your pocket. The Totipay digital wallet, powered by blockchain technology, can be used just like a personal bank account. It will give Totipay users the chance to trade, purchase or cash out whenever & wherever they want to. Totipay is a money transfer company that enables you to send money across borders quickly, cheaply and securely. It facilitates low-cost payments between different currencies. Totipay will enable you to transfer your funds from UK to 50 countries at the first stage and it will expand globally very soon. Please see our roadmap for more clarifications. TPX Network is the Totipay Network. It enables you to transfer money with the ease with which you currently send information by utilising blockchain technology. Go Live in the UK market. Token Pre-sale. Upgrade the license to include the EU market. ICO. Go live in the EU. Website / IOS app. Go live in USA & Canada. Build the blockchain technology for transferring money. Go Live in Saudi market. Deploy our blockchain technology in the global market.